Corbin’s Bend Season Three Launch Party! 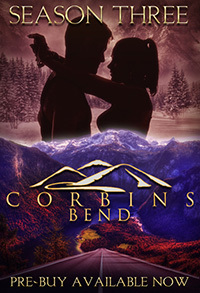 Tonight is the Corbin’s Bend Season Three Launch Party!! That’s right, tonight is the big night! Be sure to join us from 10:00pm – 12:15 ET tonight for loads of fun and some fantastic prizes! I’ll be hosting a segment from 10:50pm to 11:10pm. You’ll have to show up to see what I’m giving away. Times given are Eastern Time so don’t forget to adjust for your local time. Today is the last day that you can order the entire Season Three collection at a 25% discount off the retail price of the books purchased individually. The discount is only through Blushing Books so go here to buy now. Plus, when you pre-buy Season Three, you’ll get an extra story that won’t be available to the general public and your name will be entered into the grand prize drawing of an iPad Mini! See you all tonight for a spankin’ good time!